This weekend, I got myself out of bed semi-early so that I could drive to Dallas for the Wisteria Flea Market sale. I hoping I would find some major treasures like we did at the Wisteria warehouse sale back in the fall. What was I looking for? The main thing I was hoping to find was a big cabinet that I could put in my dining room to serve as the focal point when you walk in the front door. Wisteria has such cool, unique furniture. I didn't have any specific style or color in mind, but I was looking for something big for that space. 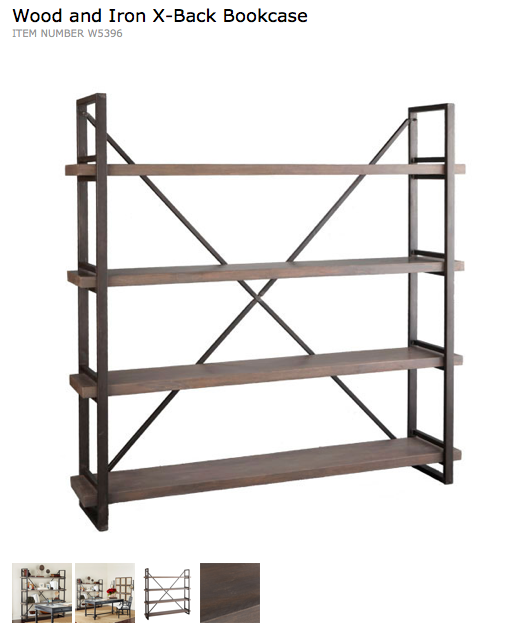 I ended up with this bookcase, which I think is AMAZING! This is the exact cell phone picture I sent to my mom. You see, I was all alone and had no one to tell me if they thought the shelf was as cool as I did! I needed help making the decision! 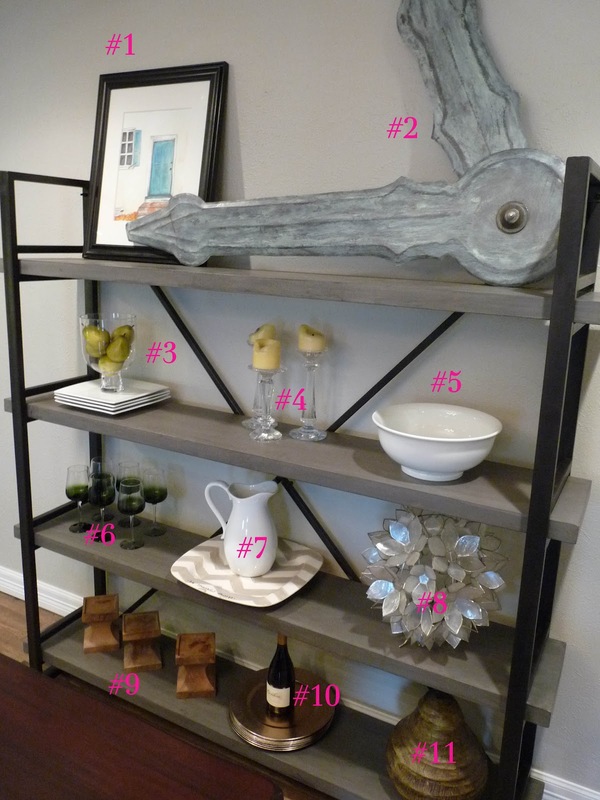 The shelf was priced at $300 (down from the original $850), and I don't just toss around cash like that. Someone needed to tell me it was amazing and worth the money, you know? So anyway, no one (my mom or husband) is answering my texts during this time, so I keep doing laps around the sale. I keep coming back to the shelf, and each time there are more people looking at it. I finally ask one of the salespeople if they have any more of that shelf stored in the back. He told me that it was the last one and they had just found it and brought it out. Before the bookcase, the dining room looked like this. We had recently purchased this $1,600 Pottery Barn table at the outlet for only $215! To make room for the new bookshelf, we moved the buffet, mirror and wine rack. I feel like the new shelf makes the room so much more eclectic, unexpected and current. It gets bonus points for being extremely heavy and well-constructed. I'm very in love with it. The only problem is that with a shelf this large in scale, it can be challenging to style it with the right doodads and knick-knacks. Plus, I didn't really have the budget to go out and buy a whole new lot of stuff to put on the shelf. I did buy one thing, however. Did you notice those huge clock hands at the top of the shelf? I picked those up for $30 at the Wisteria sale, too. I loved the weathered finish and the huge scale. I think it makes for a fun conversation piece, like our big G on the nearby wall and the huge pencil in my studio/office. 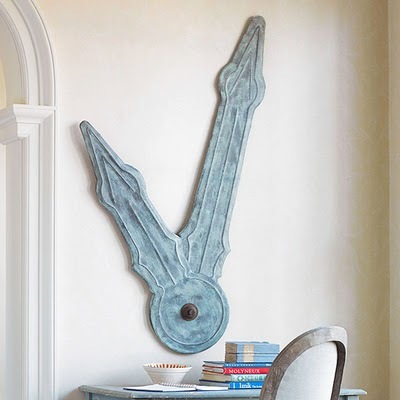 The clock hands are metal and can be adjusted to any "time." They fit in great with our decor, I must say. So, what else is on the shelf? Just a bunch of various objects I had laying around the house. I tried to stick with a neutral color scheme with a couple pops of blue and green. 10. Champagne chargers from Michaels and a wine bottle given to us because it is called our street name- "Cambria"
I'm excited to tinker with this shelf for the different holidays and occassions. I think I'm going to have a lot of fun with it! I feel pretty fortunate to live near the Wisteria store and outlet so that I can sometimes buy items that would ordinarily be way too far out of my price range. I think I have decided Wisteria is my favorite home store– not including HomeGoods, of course– after I toured the actual store (not the warehouse) during the sale. It's like a fabulous mix of Pottery Barn, West Elm, Pier 1 and World Market all thrown into one awesome store! They have it styled so beautifully, too. I could easily live in that showroom. If you live in the Dallas area or ever come to visit, the Wisteria store and outlet are located directly across from the entrance to Love Field Airport on Mockingbird Lane. The Wisteria Flea Market (with the much better pricing) is open Thursday-Saturday from 10 am to 6 pm. Like them on Facebook to get the scoop on when they do 50% off their already-low flea market prices (like this past Saturday when I bought my stuff). That's when the real bargains can be had! I'll leave you with a couple more cell phone pictures I snapped at the Wisteria Flea Market sale. 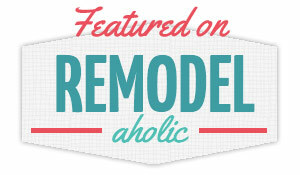 If only I had endless funds– I would have furnished the entire house!